Pain of the musculoskeletal system can seriously restrict the mobility of the affected persons and their participation in daily life. 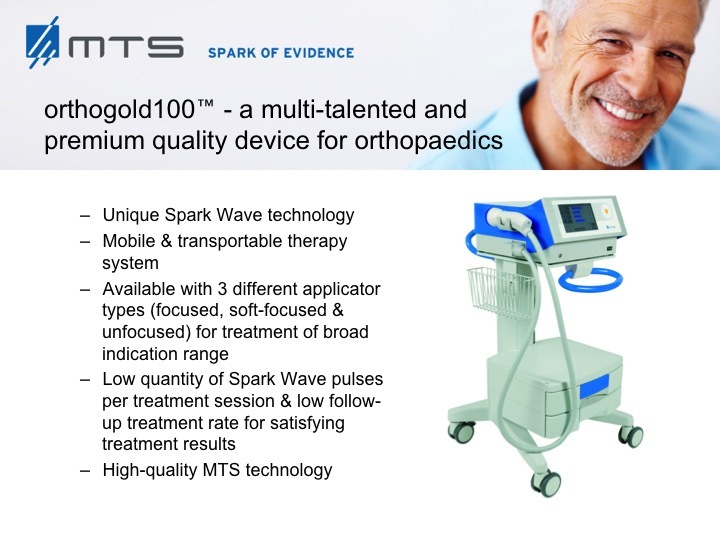 With the Spark WaveTM Therapy an effective alternative for medicamentous and surgical therapy methods respectively has been established for various orthopaedic indications. 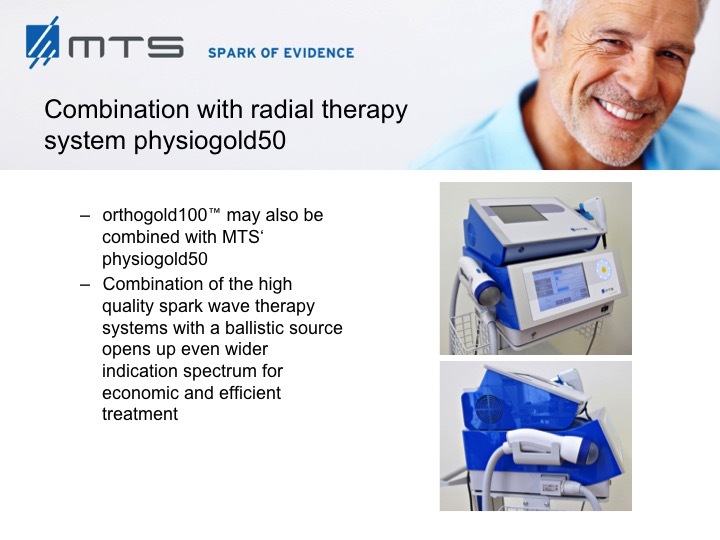 Shock wave therapy represents a non-invasive therapy option. It is considered to be safe, easily tolerable and effective. What is the effect of MTS Spark WavesTM in orthopaedics? Release of growth factors as for instance VEGF, eNOS etc. The combination of all mentioned factors stimulates the healing process, leads to an improvement of the symptoms and eventually to healing. 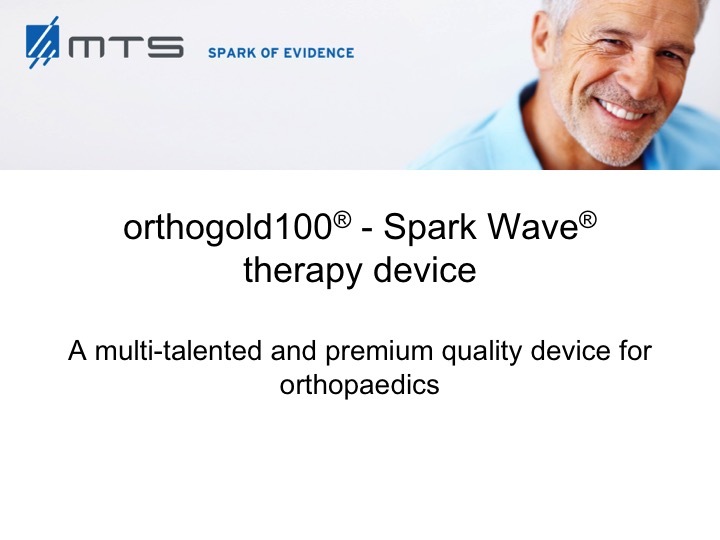 Which orthopaedic indications is MTS Spark WaveTM Therapy qualified for? Serious side effects have not been noted. 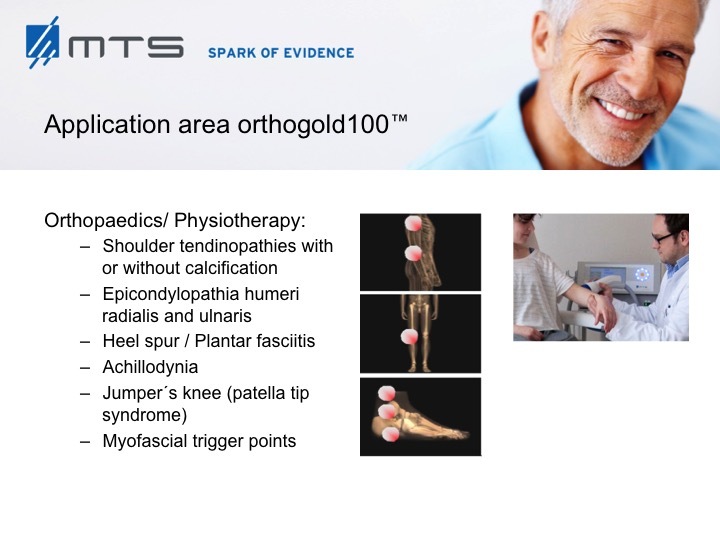 In rare cases a short-term increase in pain after the treatment can occur in the treated area. 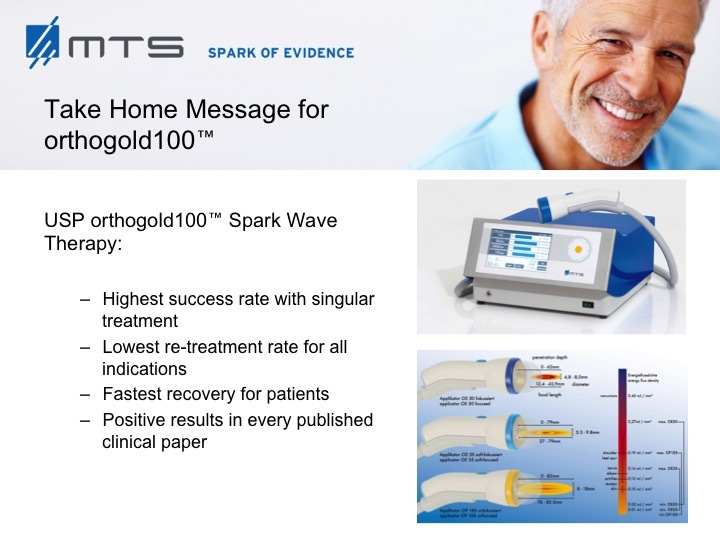 The pain will disappear within 1 to 2 days. 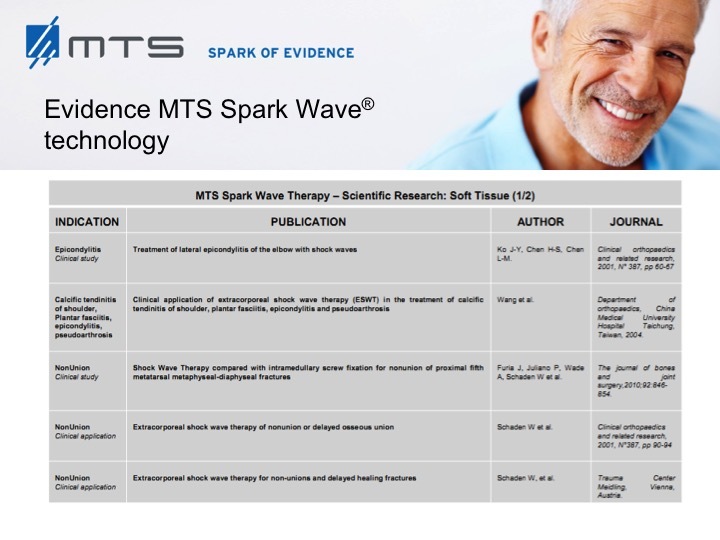 Clinical application of shock wave..